Steven Larson, MD, is a cofounder and the Executive Director of Puentes de Salud. He is assistant dean for Global Health Programs and an associate professor in the Department of Emergency Medicine at the Hospital of the University of Pennsylvania. He received his B.A. in fine arts from Haverford College and his M.D. from the University of Pennsylvania. Over the past 20 years, Dr. Larson has developed an extensive working knowledge of the health care issues facing immigrant populations in the United States and in under-served populations worldwide. Since 1988 he has immersed himself in the history of Central America and examined the impact of politics, geography, economics and religion on health care. He visits frequently and has many personal and professional contacts throughout Mexico, Guatemala, Honduras, Nicaragua, Costa Rica and El Salvador. In 1993 Dr. Larson established Frontline Medicine at the University of Pennsylvania School of Medicine to help students and residents explore the complex issues facing underserved populations. In 1999, with the goal of collaborating nationally with other medical educators committed to global health, Dr. Larson joined IHMEC, the International Health Medical Education Consortium (now GHEC). In 2000 he was elected to its Governing Council. Through this relationship, Dr. Larson has identified an expanded range of clinical and research opportunities for Penn medical students over the past 10 years. Dr. Larson also serves as the faculty advisor for the student-run Global Health Interest Group. From 1993 to 2006, Dr. Larson served as the volunteer medical consultant for Project Salud, a nurse-managed migrant health clinic located in rural southern Chester County that provides health care to the predominantly Mexican labor force employed in the local agricultural industry. In 1994 Dr. Larson created an elective course on immigrant health for medical and nursing students. In 2003, recognizing the rapid growth of an urbanized, undocumented Latino population, Dr. Larson and his colleagues Drs. 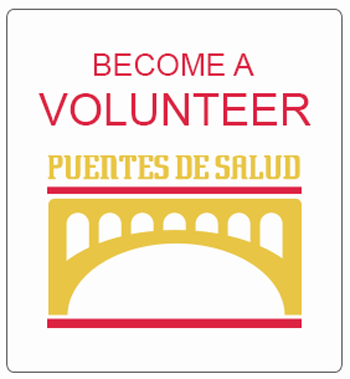 Jack Ludmir and Matthew O’Brien initiated work to establish Puentes de Salud. Educating the next generation of students who will work on improving community health has been an important component of Dr. Larson’s career. Below are links to several open source lectures about community and global health by Dr. Larson. Jack Ludmir, M.D. 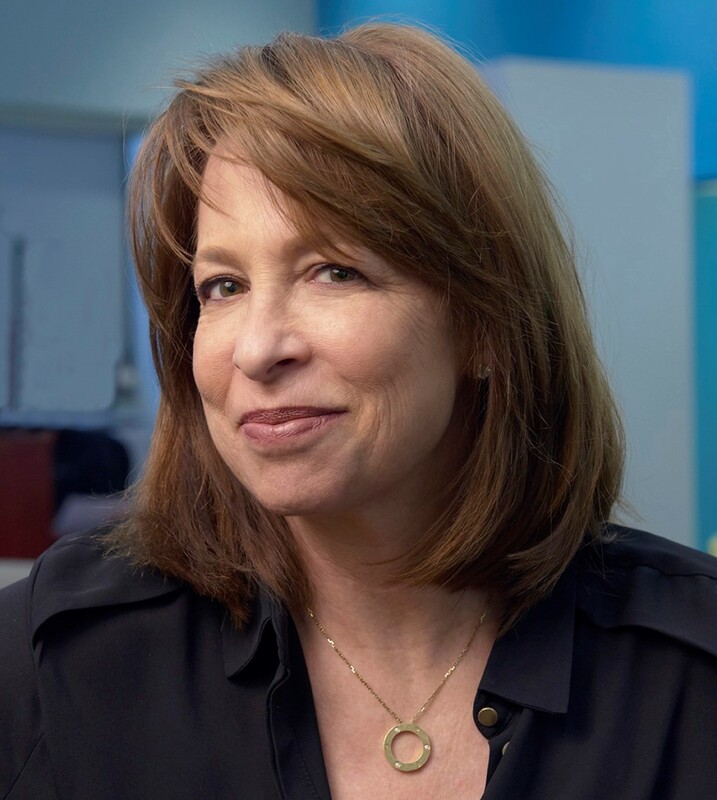 is the Senior Vice President for Physician Engagement and Integration at Jefferson Health System and the Associate Provost for Community and Global Initiatives at Thomas Jefferson University. In this role he is responsible for establishing partnerships at the local and global level (Glocal Programs). 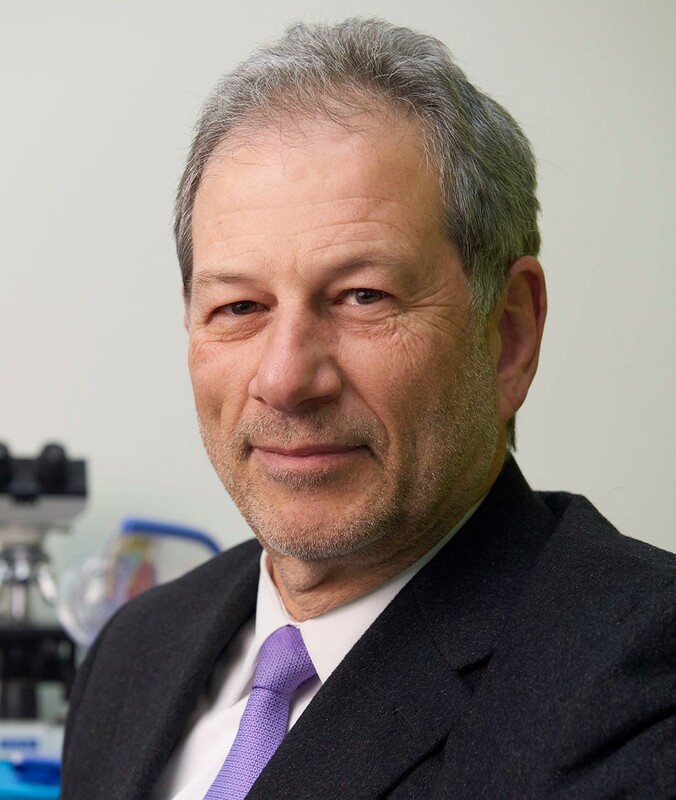 Prior to this position he was the Professor and Chair of Obstetrics and Gynecology at Pennsylvania Hospital, and the Vice Chair of the Department of Obstetrics and Gynecology at the Perelman School of Medicine of the University of Pennsylvania for 18 years. He was a founder of the Academy of Master Clinicians at Penn Medicine, and the Past Chair of the Governing Council for Maternal and Child Health for the American Hospital Association. A graduate of Temple University School of Medicine, he completed his residency in Obstetrics and Gynecology and fellowship in Maternal-Fetal Medicine at the Hospital of the University of Pennsylvania and was on the faculty at Harvard University and the University of Pennsylvania for thirty years. His clinical and research activities have focused on cervical function in pregnancy and prenatal care for vulnerable populations. 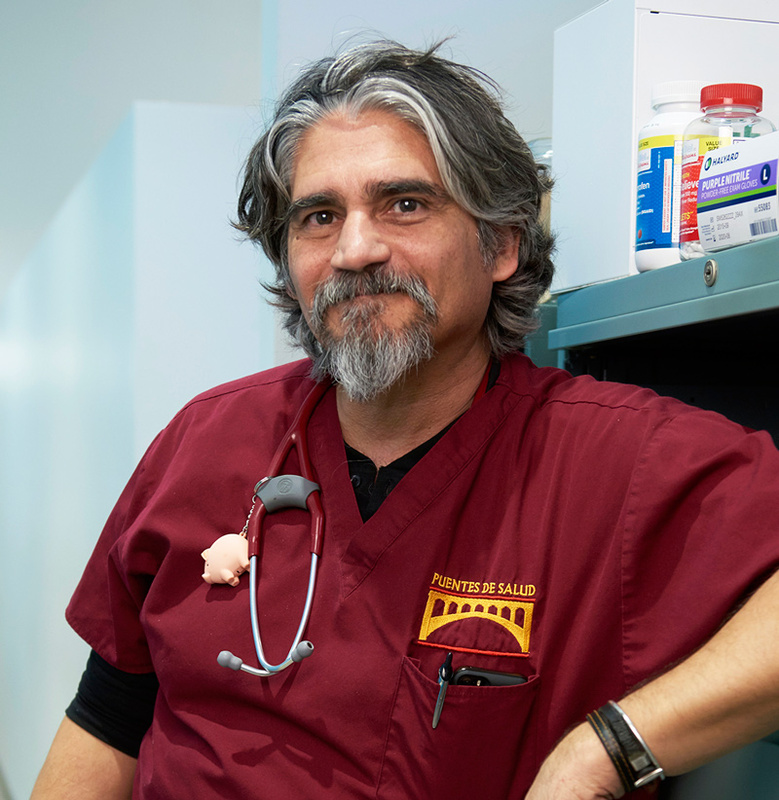 Dr. Ludmir was awarded the Alfred Stengel Penn Health System Champion Award for improving, transforming and integrating the entire University of Pennsylvania Health System’s Obstetrical Services, ensuring that every patient has a right to prenatal care. He is a strong advocate for making high quality care available to vulnerable populations, including the underserved and uninsured in the Philadelphia region and globally. He was the President of Women and Children’s Health Services (currently the Ludmir Center for Women’s Health), a not for profit organization devoted to the care of women from the surrounding community and is a co-founder of Puentes de Salud and Latina Community Health Services, organizations providing free care to uninsured immigrants. The Maternity Care Coalition in Philadelphia awarded him the Spirit of Motherhood Award for strengthening families and inspiring change every day. The March of Dimes gave him the Roosevelt Award for Service to Humanity and Philadelphia Magazine named him one of the “Best Philadelphians”. He is currently serving as the liaison coordinator between The Federation of Latin American Societies of Obstetrics and Gynecology (FLASOG) and the American College of Obstetricians and Gynecologists (ACOG). He has established formal relationships with several universities and hospitals in Latin America to improve the safety and quality of obstetric care. In recognition for these services he received the Outstanding District Service Award and the Peter Hollis Community Service Award from ACOG, and has received honorary degrees from several universities in Latin America. Alexa Salas is originally from Phoenix, Arizona and graduated with a degree in Urban Studies from the University of Pennsylvania in 2017. During her senior year, she co-founded the Lanzando Líderes high school program, which she continues to manage in her current role. 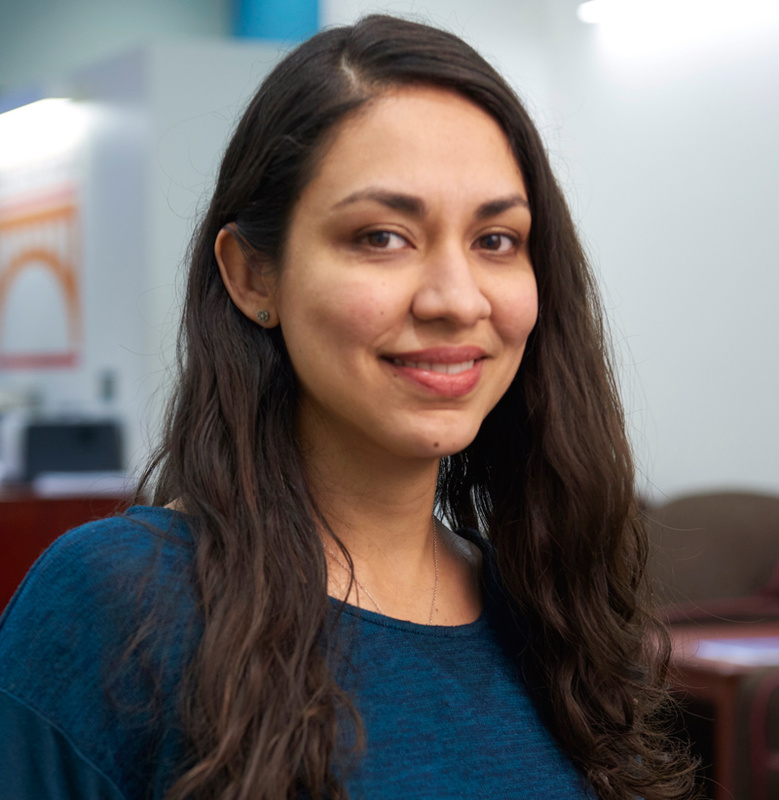 As Program Supervisor of Adolescent Education, Alexa works to promote a culture of post-secondary access and success in the community, which includes working with the Puentes Hacia el Futuro program at Southwark School to prepare families for the high school process. Alexa is passionate about social justice and equity and aspires to a career in public service that will allow her to advance these issues through legal advocacy and policymaking. Alexandra Wolkoff graduated from Haverford College in 2014, where she studied Sociology and Education. 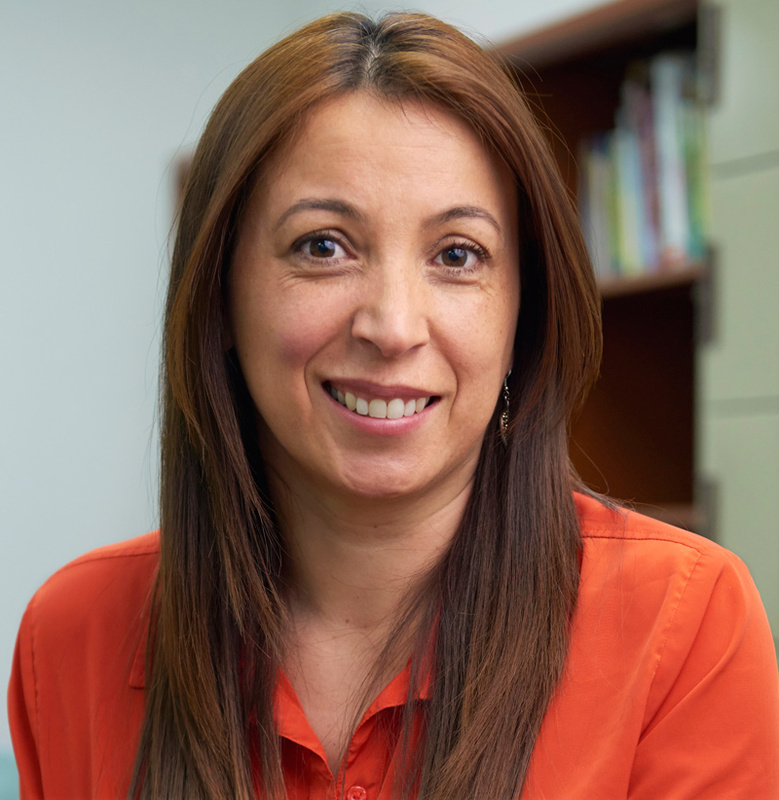 She joined the Puentes team in July 2014, beginning as the Puentes Hacia el Futuro Program Supervisor and progressing to Assistant Director of Education. As the current Director of Education, she oversees both the daily operating and long-term development of our growing educational programs for children from early childhood through adolescence and their families. Alexandra works closely with Southwark School, Puentes de Salud providers, and numerous community partners throughout the region to coordinate services and to best support the growth of each child and family unit. The Puentes de Salud model allows Alexandra to align her personal, academic, and professional passions by integrating knowledge with action to create true positive change in solidarity with our community. Alexandra practices yoga, photography, and exploration as means of self-care and expression and aims to pursue further graduate education in the fields of psychology, community wellness, and education. Annette Silva, LPN, has worked in community health and outreach as a clinical nurse since 1992. Her bilingual (English/Spanish) and bicultural background (United States/Latin America) provides the ideal framework for her service in the Latino community. From 1992 to 2006 she worked as a community health nurse in Kennett Square, Pennsylvania. This experience honed her clinical skills and highlighted the importance of a collaborative team effort in meeting the health care needs of under-served populations. Subsequently, she developed the skills to effectively interface with physicians, social services organizations, hospital business administrators, nonprofit organizations and government agencies. Since 2008, Annette has served as Puentes de Salud’s community nurse liaison, a position in which she actively engages in education programs, social services and clinical care. Blima Ludmir is from Lima, Peru. 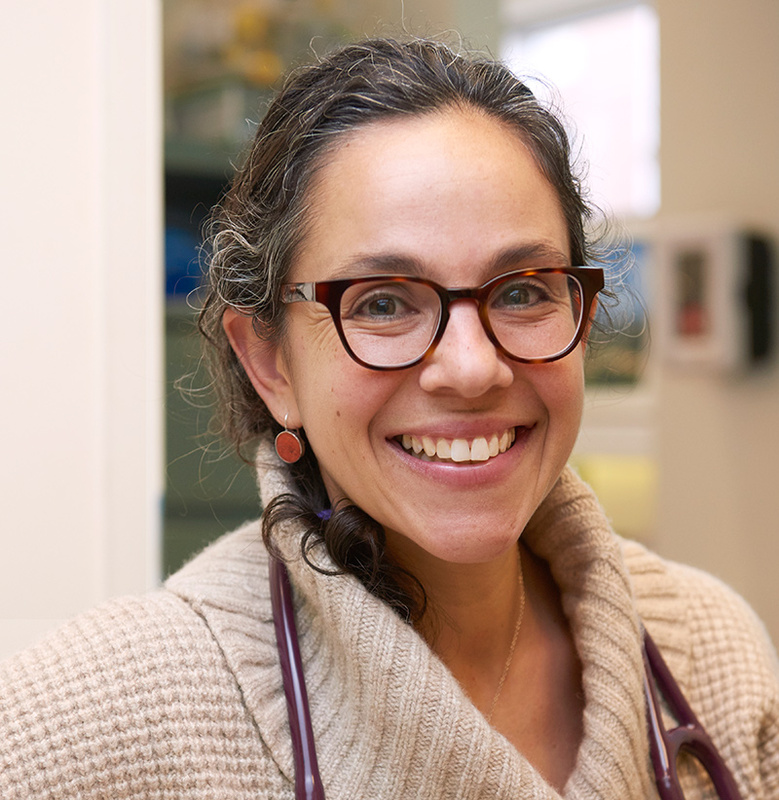 She received a Bachelor’s degree from Brandeis University and for the last 14 years has been working as a patient navigator for Latinx Community Health Services, next to her husband Dr. Jack Ludmir. In her role she helps underserved women from the community to get access to prenatal care, ultrasounds and gynecologic services. 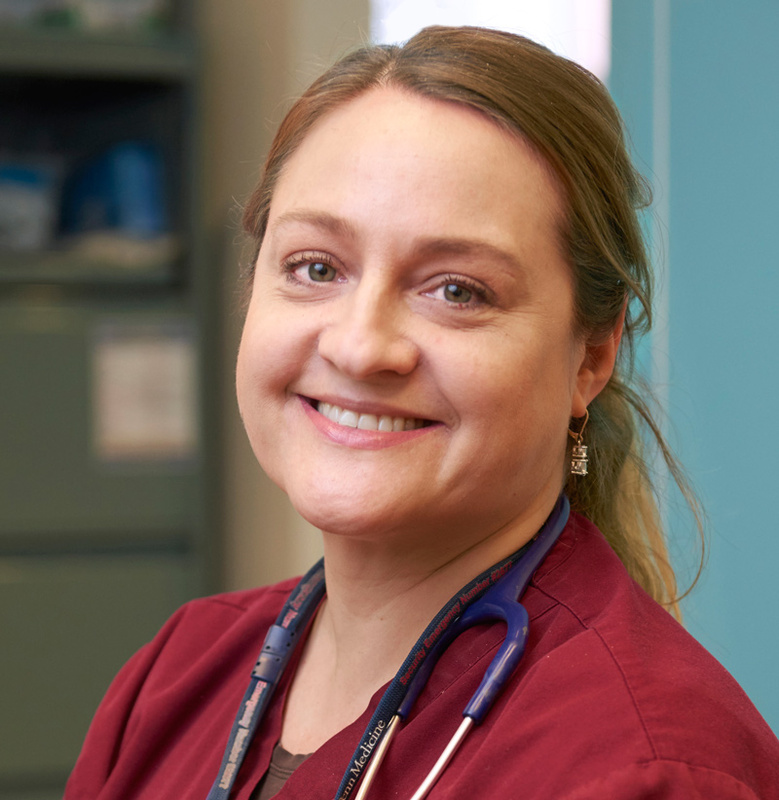 She serves as a liaison between patients and the health system and provides women with support 24/7. She is fluent in Spanish and has a certificate as a qualified medical interpreter. Her multicultural background allows her to relate to women in a culturally sensitive, personal and caring way. She has been instrumental in the development and implementation of the new Latinx women services at Jefferson University’s Latina Clinic (JLC), and remains committed in assuring access to health care for women in our community. Carlos Sanchez was born in Mexico City, Mexico. Carlos studied accounting and economics courses in Mexico City before moving to Philadelphia. Carlos is an active member of the Mexican community in south Philadelphia and has been involved with social justice movements such as the New Sanctuary Movement. He is the filmmaker and producer of the documentary “El Sol Sale Para Todos” (2010), which recounts the emergence and growth of the Mexican community in South Philadelphia. Carlos is also a member of Juntos and is a Fleisher Art Memorial FAMbassador, liaison to the Latinx community in South Philadelphia. 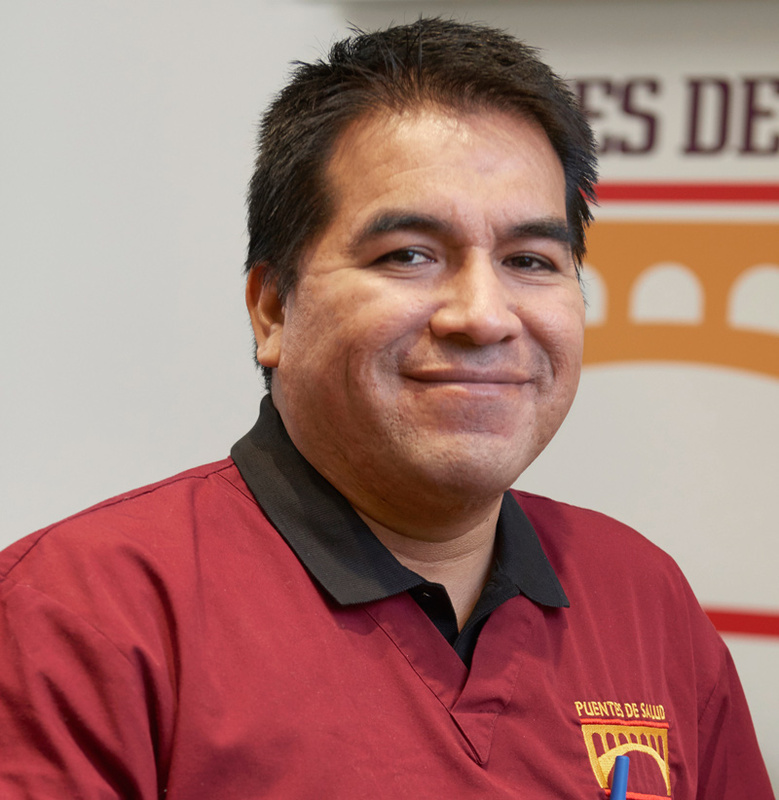 Carlos is a crucial member of the Puentes de Salud team as the Administrator. He is in direct contact with all health clinic patients and the operations of Puentes’s new health and wellness center. Dacey Stratton, CRNP, completed her Master of Science in Nursing with a concentration in Women’s Health at the University of Pennsylvania. Prior to joining the Puentes team, she served as the lead clinician at Latinx Community Health Services, a grant-funded program serving immigrant women. 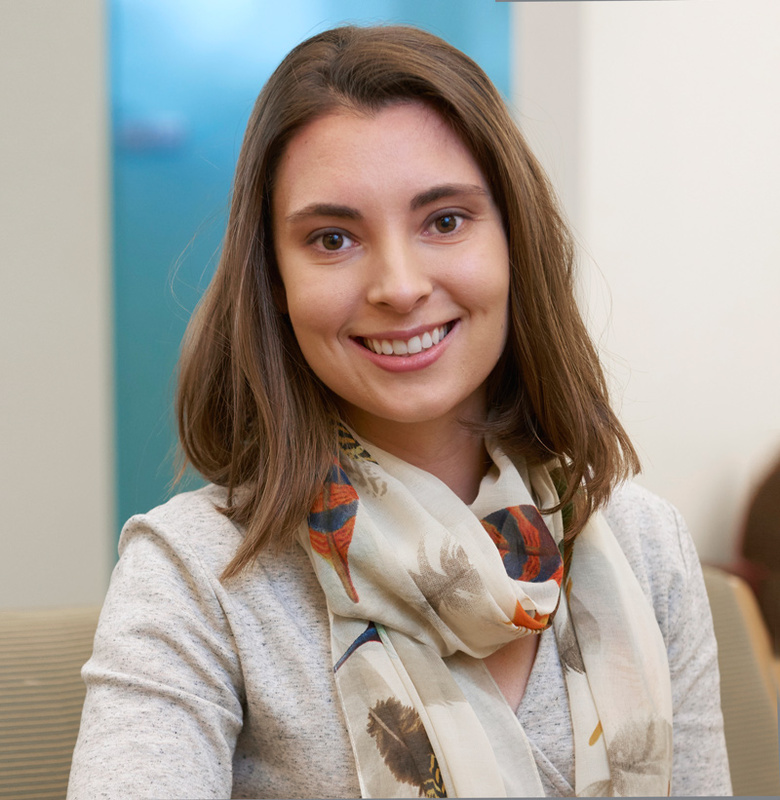 During her first year at Puentes Dacey has focused on expanding access to sexual health and contraceptive services. As Medical Co-Director of Puentes, Dacey Stratton leads Women’s Health efforts and the Puentes Nurse Practitioner Residency Program. Esther Morales studied Psychology at Rowan University and health disparities in Native American communities at the University of Pennsylvania. At Puentes, Esther has worked with families in South Philadelphia and helped expand education programming and non-profit structure. Monica Posada completed her masters in Mental Health and Counseling. Has a professional experience in the area of mental health. In the past, she has been in charge of individuals and social group clinical cases. She has supervised and directed programs and workshops within the mental health care. At Puentes, she provides clinical behavioral health services in order to improve patient health outcomes and their overall satisfaction. She focuses on the interaction with clients to initiate change in the patient’s thoughts, feelings, and behavior through adaptation. Provides support in individual and group settings by aiding clients daily life through implementing a range of techniques based on experiential relationship building, dialogue, communication, and behavior change, along with others in order to improve the mental health of the client. Nora Litz is a Mexican-American artist who works to empower and revitalize the Mexican community through the artistic exploration of immigration and social justice in the United States and Mexico. At Puentes Nora is the director of all art related initiatives and art partnerships. In 2011, Nora created El Viaje de los Niños (The Journey of the Children), a project that tells the stories of Mexican immigrant children who have crossed the border to come to Philadelphia. In 2013-2014 Nora traveled to Mexico to create a version of El Viaje de los Niños with children from Puebla, San Lucas Atzala, San Andrés Calpan, and San Mateo Ozolco whose parents left them in order to find work in the U.S. Puentes highlighted Nora’s during the International Metropolis Conference held at the UNAM (Universidad Nacional Autónoma de México) in Mexico City in September 2015. 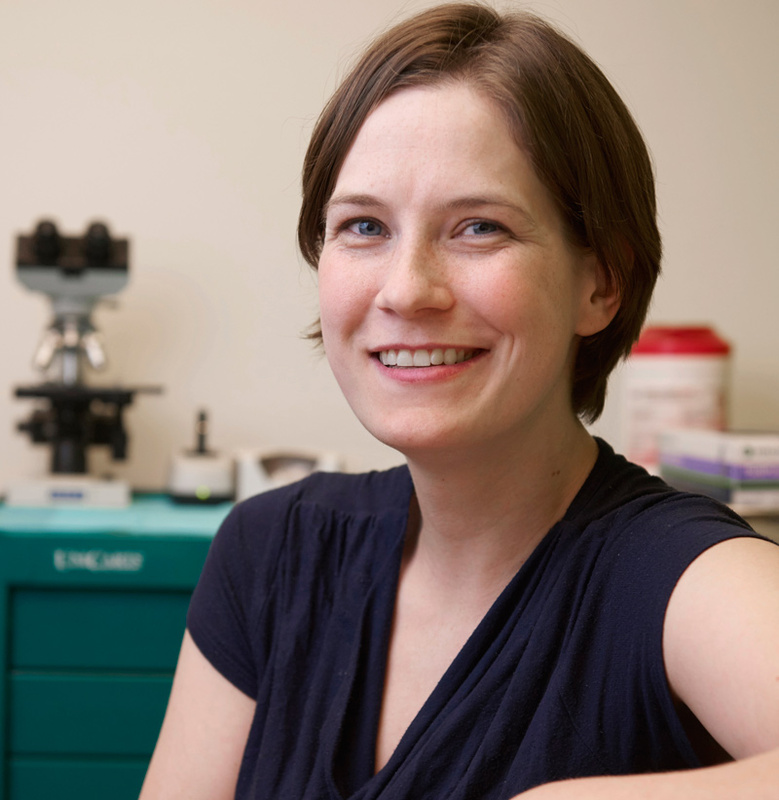 Sara Shuman is currently an assistant professor of public health at La Salle University. She has a Ph.D. in Public Health from Temple University with a concentration in Social and Behavioral Health and a Masters in Public Health from the University of Arizona. Sharon Katzenbach, CRNP, completed the Family Nurse Practitoner Program at the University of Pennsylvania. 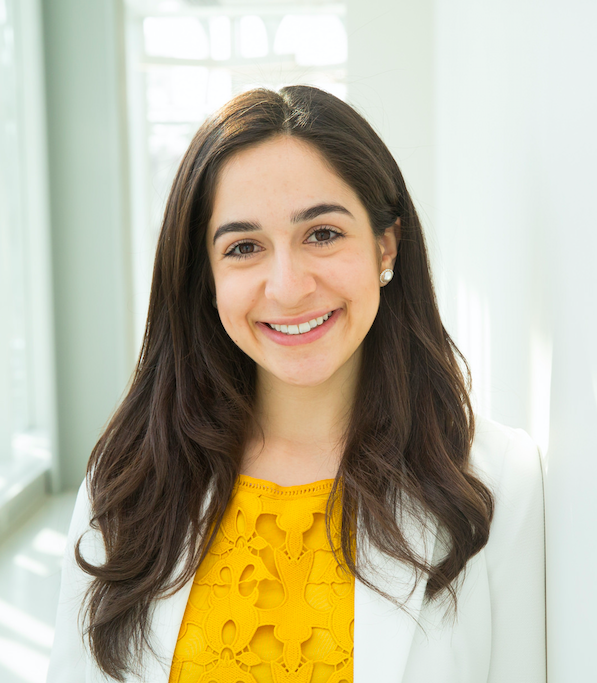 Prior to joining the Puentes team, she worked in primary care in South Philadelphia and the Penn Emergency Department. Sharon has also taught seminar courses at Penn Nursing and precepts masters nursing students. At Puentes, Sharon sees primary care patients and maintains her focus on education, as a preceptor and director of the Puentes Residency Program.